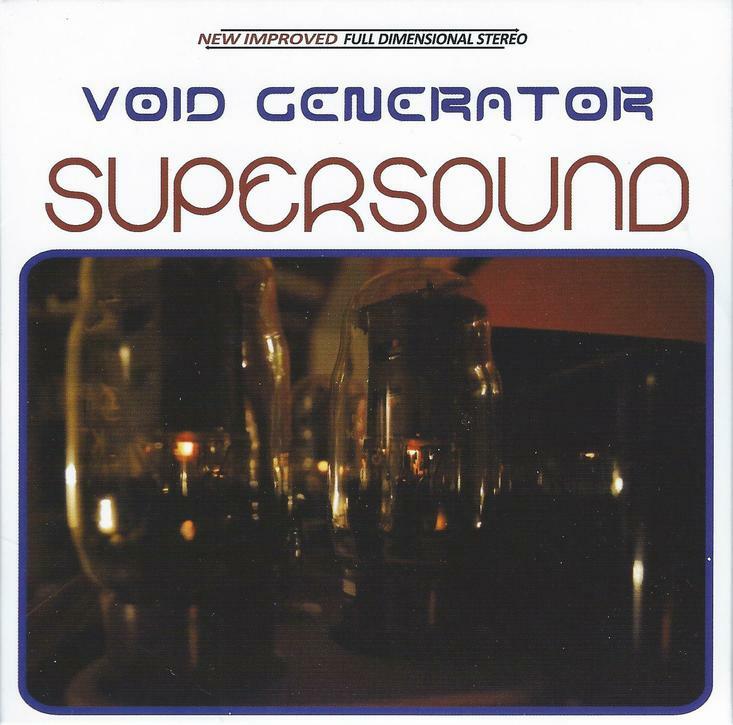 Supersound is Italian heavy rockers Void Generator’s first new album I’ve heard since 2010’s Phantom Hell And Soar Angelic, though I see on their web site that they released an EP in 2011. The band are the quartet of Gianmarco Iantaffi on guitar and vocals, Sonia Caporossi on bass (and acoustic guitar on one song), Enrico Cosimi on keyboards and FX, and Marco Cenci on drums. The jacket is designed like an old LP, proclaiming “New improved full dimensional stereo”, and the back cover describes Supersound as Phonosphera Record’s newly developed system of recording. I guess that’s not just a fun attempt at reproducing a design style because the quality of the mix jumped out at me right away. The album opens with the heavily fuzzed Stoner-Psych Behind My Door. During a jam segment the fuzz guitar is shredding to the right and soloing to the left, with the bass drum thudding in my head under the headphones and nice crisp cymbals. This sound is characteristic of the entire album. The haunting organ is a nice touch too. Synapsex is similar but with a more upbeat rocking tempo, and includes cool spacey organ and efx. The theme continues on Master Of The Skies, which at over 9 minutes is an ultra fuzz-fest, ambling along with a stoned vibe. The simple eerie organ melodies fit nicely, contrasting with yet complementing the guitar. What Are You Doin is rhythmically different, having a snappy, bouncy groove, with the organ giving the music a carnival-like feel, yet never losing its monster fuzz focus. I like the subtle yet spacey pinging wave and slowly oscillating UFO effects that embellish Hidden Orbit. Ditto for Globular Cluster, which adds freaky swirly electronics and rushing space waves that color the steady rocking powerhouse fuzz. Finally, Universal Winter is very different, being a mellow, melodic instrumental with Sonia on acoustic guitar (sounds like both Sonia and Gianmarco are on dual acoustic guitars). Very nice and adds a welcome variety to the set. This album could have just as easily been titled Superfuzz, and if that appeals to you then you’re sure to dig Supersound. The album is available on CD and the web site says they plan to release a vinyl edition soon too.